'Excitement' may be the best way to describe what is happening at the iDIG music festival. As people converge on the Convention Centre in Dublin, one thing is evident - a shared love of gaming and music. 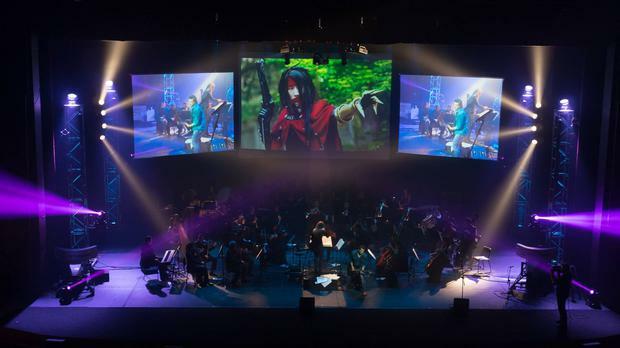 The first of its kind in Ireland, and the world if the organisers are to be believed, the iDIG music festival is bringing together the producers of some of the biggest musical scores in video games and letting them loose on the fans. The use of the word 'festival' is intentional. As, rather than 'convention' or 'expo' to describe their event, organisers are keen to express that the next three days are a "celebration of the music and passion that unites a community". "This is a celebration of game music - it's a showcase to highlight just how far the genre has come," said Chris Rooke, one of the festival's chief organisers. "We want to show people that it has reached a stage were it is varied and interesting enough as a genre that it is worth a festival." "There will still be the seminars and talks that everyone comes to conventions for, but, for us, the focus of the next three days is on celebrating the musical passion that has helped make video games a part of our everyday culture." If this is their goal, then the iDIG organisers have hit the nail on the head. The crowd attracted to the event reflects this, with people from all walks of life strolling around the expo floor. A big part of the next three days is to open up the genre and orchestral music to those outside the video game scene. "There's a thought that orchestral music is stale and something for the grandparents," said Chris. "We want to show that, yes, it can do Beethoven very well, but it can also do other music too." "In Ireland, we've a rich history of music, and what we're saying that music from video games can be a part of this too." Adding: "If you look at something like the Legend of Zelda - it's been going 30 years. Even if you don't approve of video games, you can't argue that it isn't part of pop culture." "That's what we're trying to do here. Show people that this genre has been part of their lives forever."